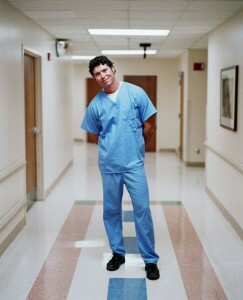 In Arizona, nursing jobs are plentiful. A recent study showed that there will be a need for up to 50,000 new registered nurses in Arizona over the next decade which is good news to nurses wanting to make the move to The Grand Canyon State. Among the top four largest cities in Arizona, the median salaries for registered nurses are as follows: Phoenix $65,526, Tucson $59,705, Mesa $65,626 and Flagstaff $57,614. Four of the top twenty-five private sector employers in Arizona are hospitals or medical centers. Banner Health employs a whopping 28,993 individuals, Dignity Health almost 8000, University of Arizona Health Network has more than 7,000, and Scottsdale Health is home to 6,686 health care employees.